Ain’t gonna be long til the lead starts flying and the commies start crying!! Looking forward too it coyote. “to defend against a tyrannical government” is the important part of that quote. We NEED military weapons, and they ARE covered by the Bill of Rights’ second article. 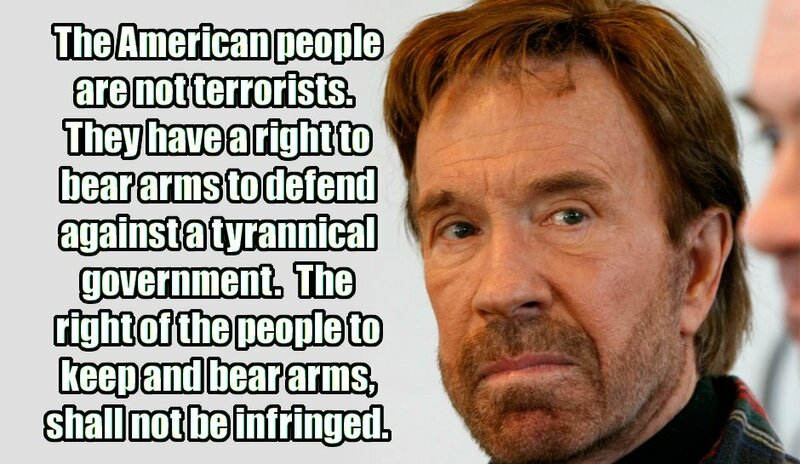 Never liked him as an actor (my favorite movie that he was in is ‘Way of the Dragon’… watch the clip below to see why I like it so much), but he’s spot on with his gun ownership support. I like the kitten with his kitty cat kung fu, cat like reflex’s and killer instinct. I liked the fact that he didn’t survive. Would’ve turned out that way in real life, too.